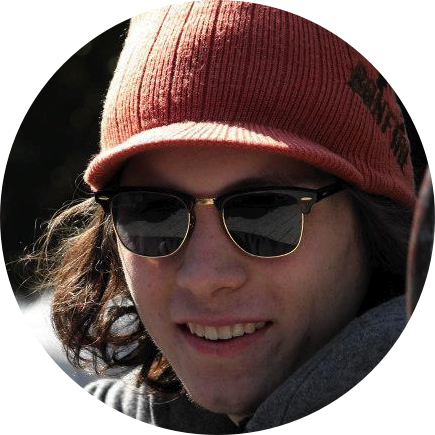 Jesse is from Beloit, WI and graduated from Northwestern University in 2013 with a film degree. Jesse is the film's lead visionary. He’s been known to show-up to meetings with notebooks full of poetry and powerful emotional ramblings… which eventually translate into scene ideas. He’s definitely the good cop of the directing duo. Jesse is an outdoorsman at heart, currently teaching kids how to ski in Wyoming. Ben originally hails from Glen Rock, New Jersey and graduated from Northwestern University in 2012 with a degree in Communications. His alter ego “Producer Ben” is definitely the bad cop of the duo. "Producer Ben" does not take no for an answer. Though Ben is very active in the Ty’s List creative process, his focus leans toward business development (partnerships, strategy, distribution, finances, marketing, etc.). He recently crossed off a major line item on his bucket list-- traveling all over SE Asia--in an effort to keep living life to the fullest. He currently resides in Brooklyn, NY.